When you receive the terms of your parole or probation, it is understandable to feel that they restrict your lifestyle. If you should break those terms, intentionally or unintentionally, the Probation Violations Lawyers at Fiore & Barber, LLC provide you with objective representation to minimize the penalties you face. We emphasize the importance of a close client-lawyer relationship and keep in constant communication with you so that you can provide us with any information that can help your defense. Trust in our 29 combined years of legal experience and our reputation of unparalleled effort in our work to give you hope for your future. However, these consequences are by no means guaranteed. 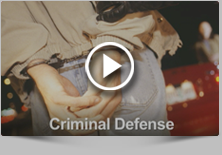 By working with our skilled criminal defense attorneys, you can reduce or even eliminate the penalties you face. Proof of insufficient evidence. We argue that the evidence provided by the prosecution is insufficient to convict you of parole violation. Proof of innocence. We strive to prove you are innocent of parole violation with evidence we collect in your defense. Modification of probation terms. We seek to modify the terms of your probation to make them more appropriate for your situation. Don’t wait to get outstanding representation for your parole violation case — call Fiore & Barber, LLC today at 215-256-0205 or contact us online. We provide free consultations and flexible office hours for your convenience. One of our greatest passions is defending your freedom. Let us stand beside you and diligently work to clear your name.